Micronesia is the northwestern region of Oceania. 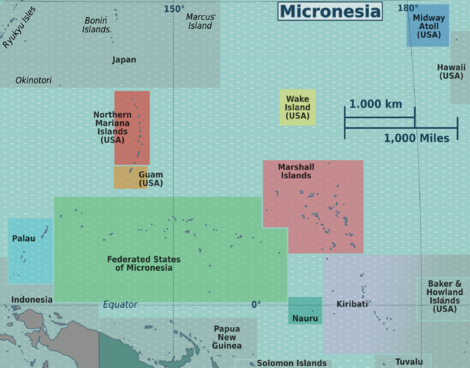 The western third of this sprawling country falls within Micronesia. Site of U.S. nuclear tests on Bikini Atoll. An island of phosphate. The world’s smallest independent republic. A beautiful nation with a lake full of jellyfish, and much more. This page was last edited on 28 June 2015, at 00:35.